Outback’s blower system delivers 160# of corn per minute and 125# of protein per minute. 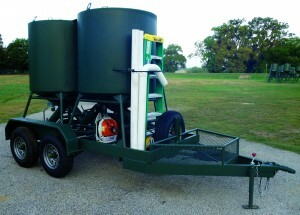 Bulk Trailer with Remote Controlled “Eliminator”, Road Feeder, Gravity Tube & Blower System. Complete with tubing, fittings, ladder and spare tire. 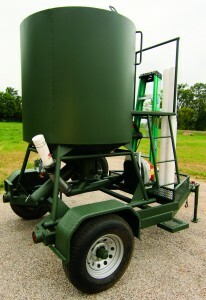 Twin Bulk Trailer with Remote Controlled “Eliminator”, Road Feeder, Gravity Tube & Blower System. 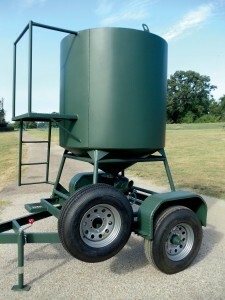 Complete with tubing, fittings, ladder & spare tire. 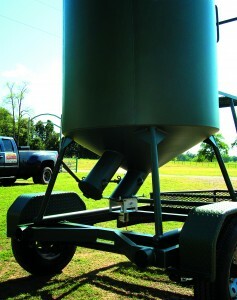 Features Outback “Pistolero” Directional Spinner Unit positioned to scatter feed out the side into the brush from the sendero while driving.